What is it like to live in Cuba? Cuba is a difficult place to understand, let alone explain! The longer I was there, the less I understood. But I’ll try to summarise how I felt once I’d left Cuba and reflected on the experiences. moved to Cuba in 2013 and lived there for 5 months. It was during my year abroad, and the University of Havana has a partnership with the University of Manchester and the University of Nottingham, meaning there was a group of us, living in Vedado and studying at the university. Cuba is a beautiful Caribbean island full of lush green trees and plants, surrounded by beautiful blue sea and white sandy beeches. Coconuts were growing outside our house, elderly men play dominoes in the streets and boys play baseball, classic American cars cruise down wide, potholed streets. Sometimes, the practicalities of living there were difficult. Things work very differently in Cuba. Without computers and very little internet access, official processes take a long time with lots of stoic queueing and waiting. People don’t really use mobile phones. Tap water isn’t recommended for foreigners but bottled water is difficult to find. As an outsider, there are clear lines between the Cuba for “tourists”, with its own currency and fancy hotels, and for the “locals”. As temporary residents we sat somewhere in between. A lot of people are surprised when they find out about the type of restrictions Cuban people live under. They couldn’t easily leave Cuba, even if they could afford a plane ticket. They simply aren’t allowed to leave. They have a very limited access to the outside world, as the media is state-owned and internet is barely existent. Until recently they couldn’t own small businesses or work for themselves – people work for the state. Somebody of my age in Cuba would have nowhere near the same opportunities or choices in their life as I do. It is easy to criticise the government in the face of the limited freedoms that Cuban people have. But there is another side to the story. Cuba is a poor country, yet unlike many countries across the world, a huge amount of its wealth is invested in the people. Unlike Mexico, where I saw many children working in markets, shops or begging on the streets, Cuban children wear their school uniforms and are in school. Families are provided with food rations, a house, free health and dental care. The culture is sustainable, with lots of recycling. Museums, parks, theatres and opera houses are built for the people and prices are incredibly low for Cubans. 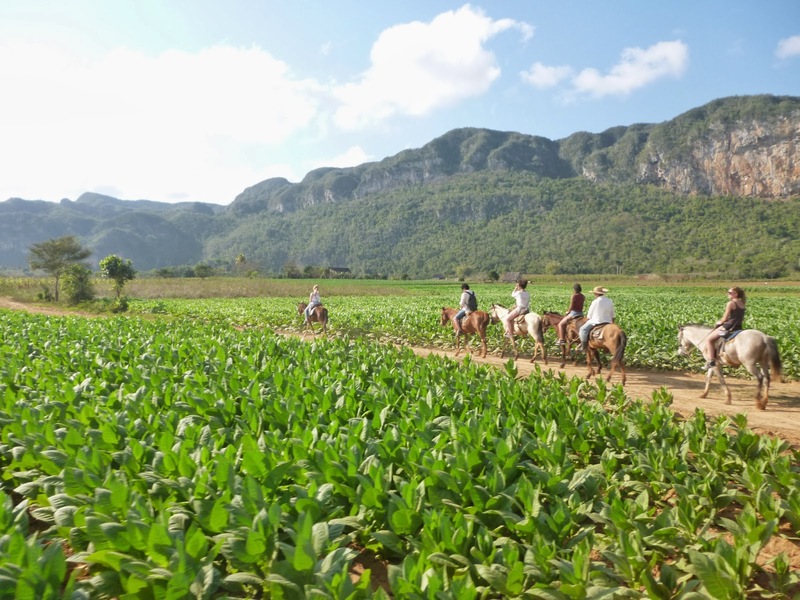 Wealth is still not evenly distributed – the farmers we saw in rural Cuba were clearly much worse off than the middle class neighbours we lived with in Havana. But the wealth gap is nowhere near as extreme as the UK, let alone arch-nemesis USA. Every day your mind would change – you could go from having the best time of your life to the worst within a couple of hours! But overall it was such an incredible place to live, and years on I still think about it all the time. I originally wrote about Cuba on my old blogspot blog, where there are more posts, if you can find it!